Here are the details of the upcoming State Visit to the United Kingdom by the President of China. The Prince of Wales, the Duchess of Cornwall, the Duke and Duchess of Cambridge and the Duke of York, will all be taking part in different engagements. The President of The People’s Republic of China, Mr Xi Jinping, accompanied by Madame Peng Liyuan, will pay a state visit to the United Kingdom as the guests of the Queen from 20th to 23rd October 2015. The President and Madame Peng will stay at Buckingham Palace during the visit. The last state visit from China was by President Hu Jintao in 2005. 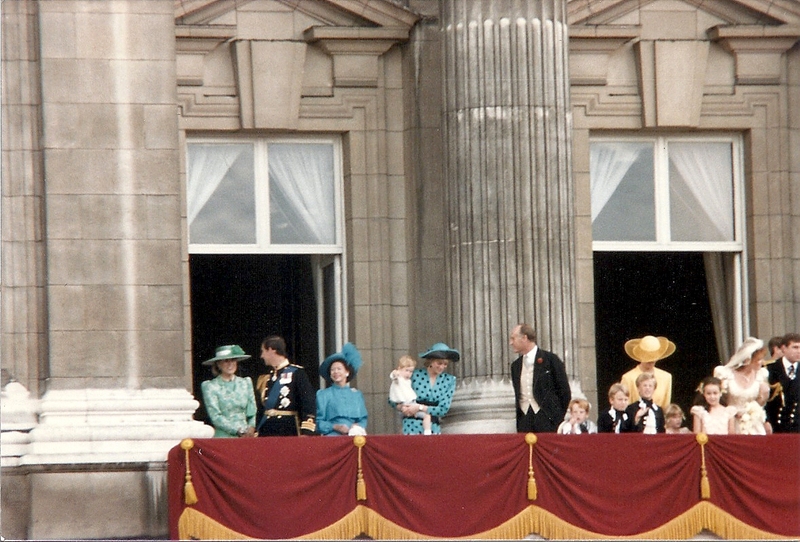 The Queen and the Duke of Edinburgh paid a state visit to China in 1986. The Duke of Cambridge paid an official visit to China in March 2015, on behalf of Her Majesty's Government. The President of the People's Republic of China and Madame Peng Liyuan will arrive privately in the United Kingdom on the evening of Monday 19th October, at Heathrow Airport. They will be greeted on behalf of the Queen by The Viscount Hood, Lord-in-Waiting. The Prince of Wales and the Duchess of Cornwall will greet President Xi and Madame Peng on behalf of the Queen, at the Mandarin Oriental Hotel on Tuesday morning. Their Royal Highnesses will then travel with the President and Madame Peng to Horse Guards Parade, where the President will receive a ceremonial welcome. The Queen and the Duke of Edinburgh will formally welcome the President and Madame Peng at the Royal Pavilion on Horse Guards Parade. Presentations will be made, the guard of honour will give a royal salute and the Chinese National Anthem will be played. The President, accompanied by the Duke of Edinburgh, will inspect the guard of honour. Afterwards, the President and Madame Peng will join the Queen and the Duke of Edinburgh for a state carriage procession along The Mall to Buckingham Palace. Following a private lunch at Buckingham Palace, given by the Queen, Her Majesty will invite the President and Madame Peng to view an exhibition in the Picture Gallery of items from the Royal Collection relating to China. In the afternoon the President and Madame Peng will visit the Palace of Westminster, where they will be welcomed by the Speaker of the House of Commons and the Lord Speaker. The President will deliver an address in the Royal Gallery to Members of the Houses of Parliament and other guests. Afterwards, President Xi and Madame Peng will meet with the Prince of Wales and the Duchess of Cornwall at Clarence House. The President and Madame Peng will be invited to view a display by The Prince's School for Traditional Arts and meet students, and thereafter they will join Their Royal Highnesses for tea. Later, the Duke of Cambridge will call on the President at Buckingham Palace. Following this, President Xi will receive an official call at Buckingham Palace by the Leader of the Opposition, Mr Jeremy Corbyn, MP. In the evening the Queen will give a state banquet at Buckingham Palace for the President. Her Majesty and the President will both make speeches at the start of the banquet. In the morning the President will visit Imperial College London, the UK's number one research collaborator with China. His Excellency will be joined by the Duke of York and the Rt Hon George Osborne, MP, Chancellor of the Exchequer. Later in the morning the President and Madame Peng will join the Duke and Duchess of Cambridge at a creative industry event at Lancaster House. The event will celebrate cultural collaboration, existing and future, between the UK and China. Afterwards, President Xi will meet with the Prime Minister, the Rt Hon David Cameron MP, at No.10 Downing Street for a bilateral meeting. In the afternoon, the President, accompanied by the Prime Minister, will visit the UK-China Business Summit at Mansion House. The summit will focus on investment, infrastructure and innovation, and will build on the two countries’ cooperation in bilateral trade and two way investment. Later in the afternoon, the President will visit Huawei Technologies. The President will receive presentations looking at Huawei's 14 years in the UK, its innovation work with UK partners and the latest technology trends. In the evening, the President and Madame Peng, joined by the Duke of York, will attend a Banquet at Guildhall given by the Lord Mayor and City of London Corporation. The Lord Mayor and the President will both make speeches at the end of the banquet. The President and Madame Peng will formally bid farewell to the Queen and the Duke of Edinburgh at Buckingham Palace in the morning. Thereafter, the President, joined by the Duke of York, will visit Inmarsat, a leading provider of global satellite communication services. Afterwards, the President and the Duke of York will join a Confucius Institute conference hosted by UCL Institute of Education at the Mandarin Oriental Hotel. In the evening, the President and Madame Peng will join the Prime Minister, the Rt Hon David Cameron MP, and Mrs Cameron, at Chequers for talks and dinner together. Later, the President and Madame Peng will fly up to Manchester ahead of the final day of the state visit. In the morning, the President, joined by the Rt Hon George Osborne, MP, Chancellor of the Exchequer, will visit the National Graphene Institute at the University of Manchester. The university leads the world in graphene research and is one of the most important centres for commercialising the one-atom-thick material. Later in the morning, the President, joined by the Prime Minister, the Rt Hon David Cameron MP, will visit the City Football Group. Afterwards, the President and Madame Peng will be joined by the Prime Minister for lunch at Manchester Town Hall hosted by the Lord Mayor of the City of Manchester. Invited guests will include civic and business representatives. In the afternoon, the President and Madame Peng, accompanied by the Prime Minister, will attend an event at Manchester Airport. At the conclusion of the state visit, the Lord Chamberlain will bid farewell to President Xi and Madame Peng on behalf of the Queen. Their Excellencies will depart from Manchester Airport. Is Madame Pang the "official mistress" to the Presidento ? She is his wife. They have been married more than 25 years.